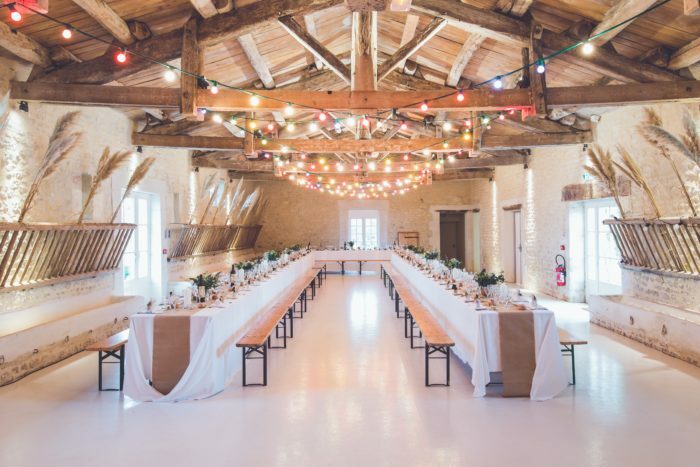 Anything can inspire the style of your wedding cake, from tall towers to pretty flowers that match your color scheme, your wedding cake is one more way to add something spectacular to your special day. That’s where these 2019 wedding cake trends come into play! These are five of our favorite cake trends of the year and they’re bound to give you the inspiration you’ve been looking for. Maybe you can have your cake and eat it too after all! 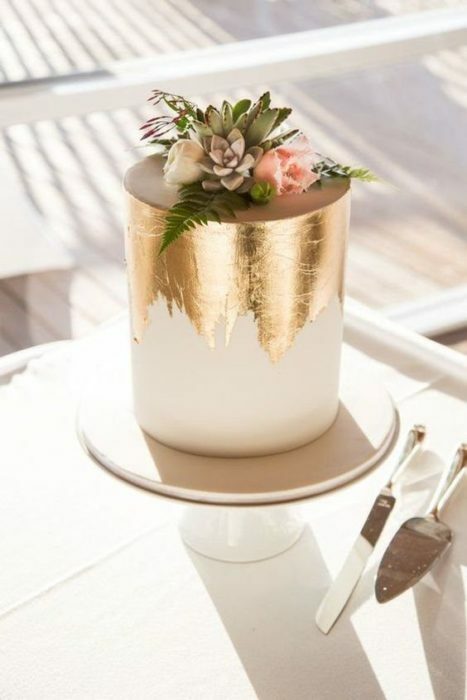 Eccentric cakes shapes have been an emerging trend in the wedding industry – after all, millennials go after the look of something extraordinary and abstract, including their wedding cakes! 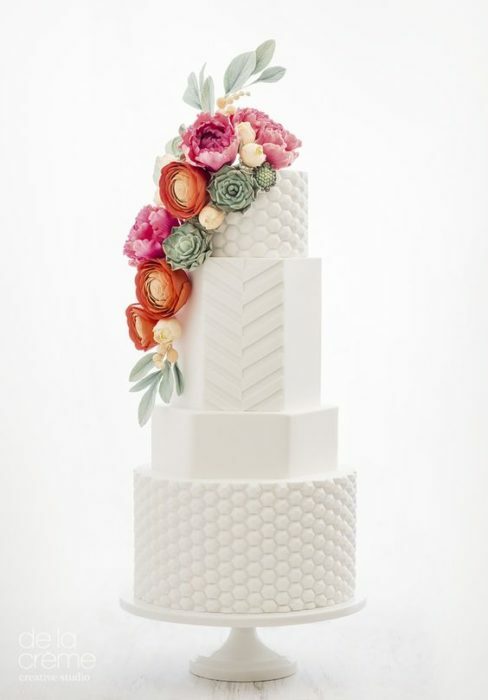 Is a geometric shaped cake the one thing missing in your planning to match the rest of your modern, romantic wedding? Think sharp angles with hints of color. Give your baker a challenge, your guests will be in awe and you’ll probably go down in history as the edgiest and most creative newlyweds! Everyone knows black goes with everything, so is it really a surprise black cakes are in? 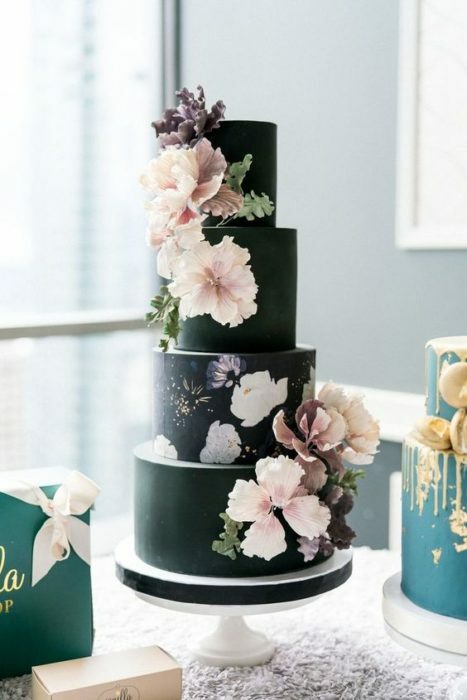 This black fondant cake trend is one of the best to go for if you’re getting married in fall or winter this year! A black wedding cake feels sophisticated and surprisingly goes with pretty much every color palette you can dream of for your wedding. Is a full black cake a little too dramatic or edgy for you? 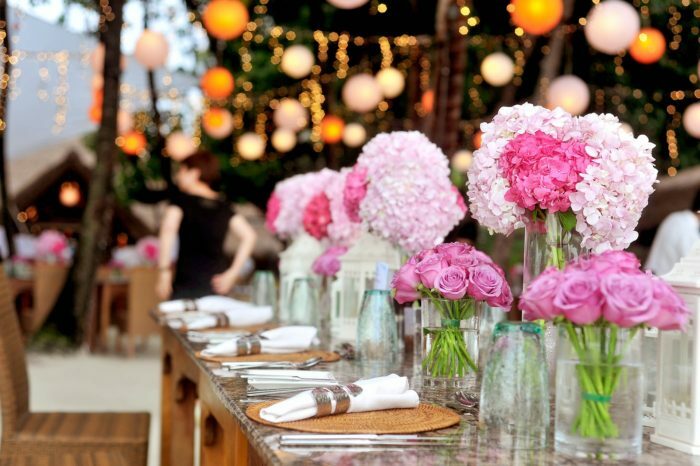 No worries, tone it down with softer details such as fresh flowers, drip icing, or pastel colors. 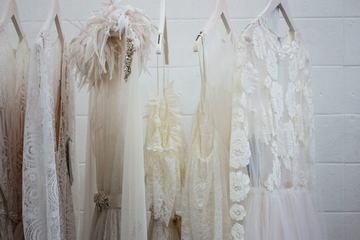 And if you’re totally loving the look, glamour it up a bit with metallic accents! 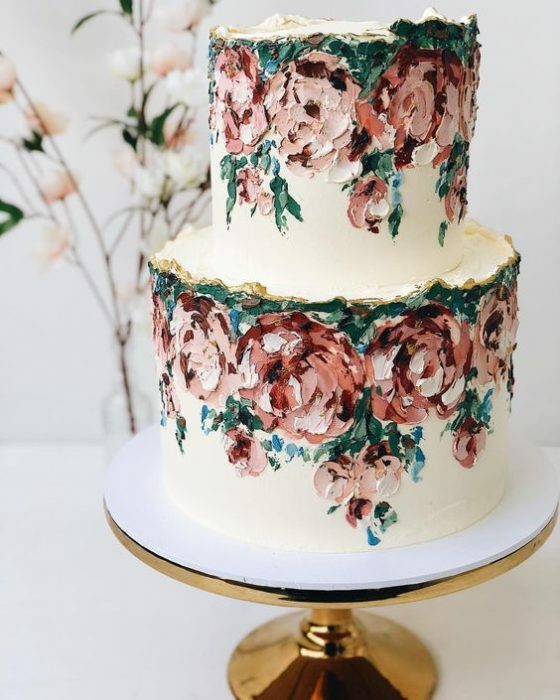 One of the most popular cake trends in 2019 are hand painted cakes – this trend opens doors for all kinds of styles and themes. From abstract brushstrokes, watercolor flowers and tile-inspired prints, express your own personality and creativity and have total control of the styles! Have your cake designer bring a touch of colorful creativity to your special day by using the cake as their personal canvas. 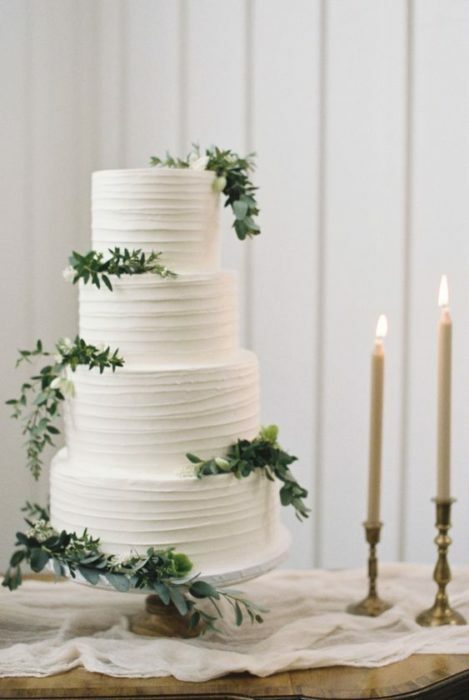 There will probably never be a time when floral arrangements on cakes aren’t trendy, and as long as couples continue to focus on more greenery and foliage for their flowers and wedding decor, it’s only right to start adding those greens to their beautiful wedding cakes to pull the whole look together. Think eye-catching ferns, rosemary sprigs, large leaves, and even aromatic herbs. 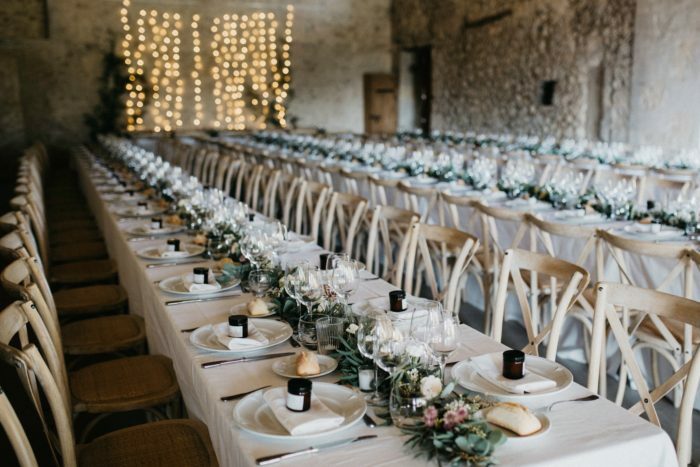 Looking for a unique (or budget-friendly) alternative to the traditional multi-tiered wedding cake? Consider a few small, single tier cakes. Not only will you be able to choose more flavors and styles, but you’re more likely to not break the bank for you and your guests to enjoy something sweet! Go for a beautiful display using cake tiers of different heights to create striking visuals on your dessert table!